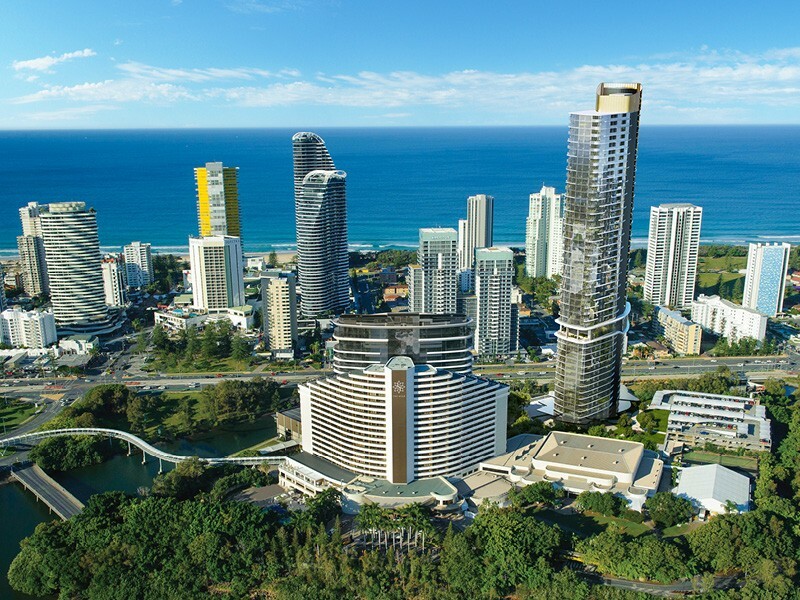 The Star Residences sit in the middle of The Star Gold Coast’s integrated resort in Broadbeach, Gold Coast. This master-planned island is currently undergoing a major refurbishment. There are a number of new one and two-bedroom apartments for sale, with prices starting at $467,000 for the one-bedroom apartments and $668,500 for the two-bedroom apartments. The apartments at The Star Residences start on Level 21, above the existing casino and the new hotel. 432 off-the-plan apartments between Level 21 and Level 53. 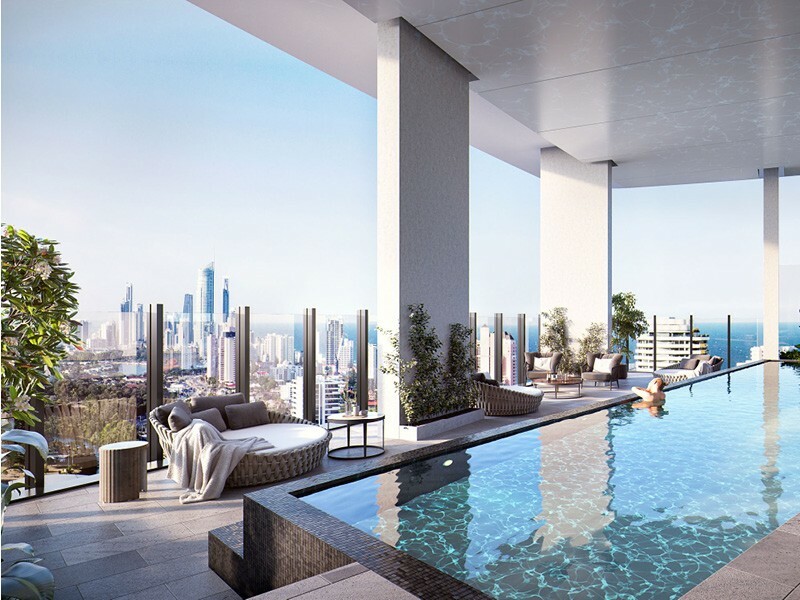 Apartment prices at the Star Residences Gold Coast range from $467,000 to $1.2million. Construction is underway and is currently scheduled to be completed by 2021. 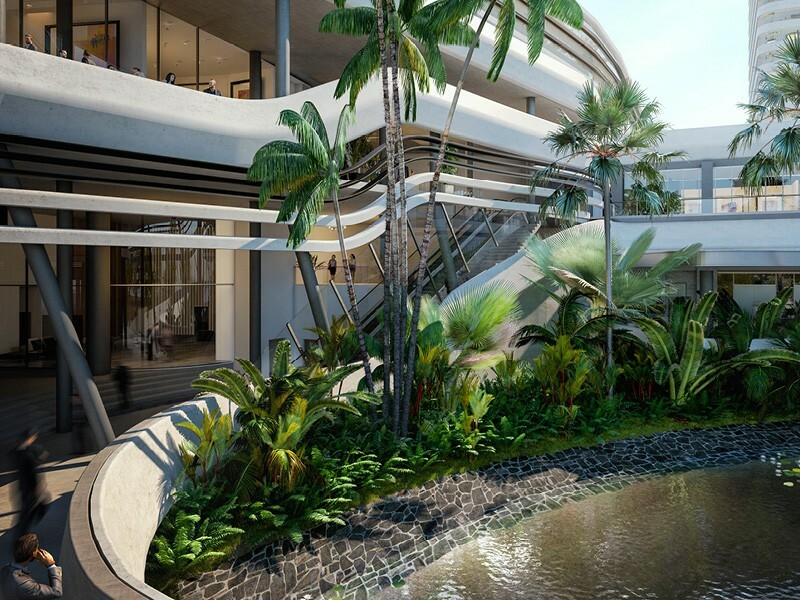 The Star Residences is the first residential opportunity at The Star Gold Coast. The two bedroom, two bathroom apartments are already sold out, with only two bed, one bath and one bed, one bath remaining. 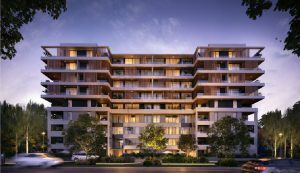 The display suite for The Star Residences apartments is now open onsite at The Star Gold Coast, 1 Casino Drive, Broadbeach. The display is open from 10am until 4pm daily or by appointment. The Star Residences is the first-ever opportunity to live in the heart of The Star Gold Coast Resort. The lower portion of the building will form the Dorsett Hotel, while the upper levels are reserved exclusively for long-term residents. Level 3 is home to an array of dining and retail offerings spaced out over 1589m². This promenade also provides direct connectivity to The Star Gold Coast. Across the 53 levels of the entire building, there are 423 one and two-bedroom apartments as well as 296 hotel suites (located from Level 7 to Level 19). There are separate lobbies for the hotel and the residential portions of the building. Tower 1 also has an exclusive porte-cochère area (think fancy car drop-off). 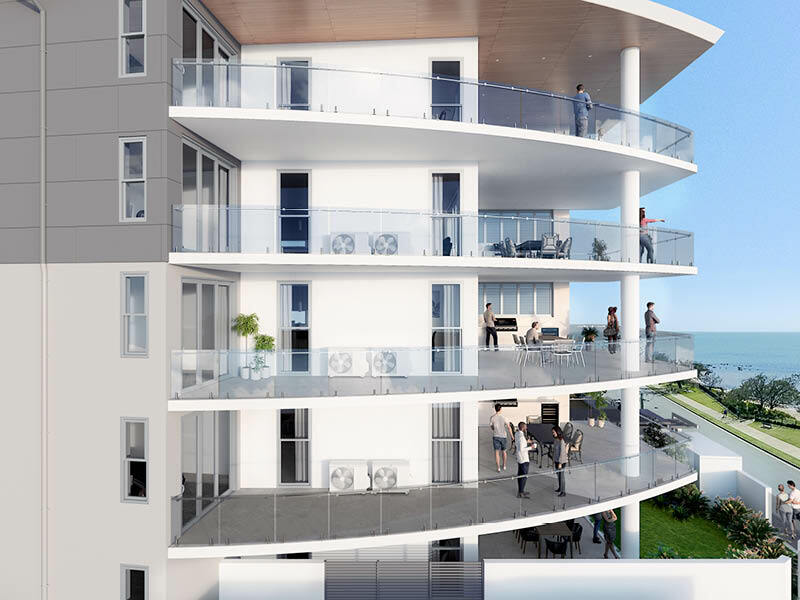 Residents will have access to the tower’s Level 20 recreation deck, which will include a pool, gym, yoga deck, lounge, and private dining and BBQ areas. There is an emphasis on green spaces, with the tower featuring several gardens (some of which are vertical). The Star Residences Gold Coast will manage facilities that the residents share with the hotel component. UPDATE JANUARY 2019: Hutchinson Builders commenced construction on the building in August of 2018. Please check back with us regularly to see more updates on the construction of The Star Residences. 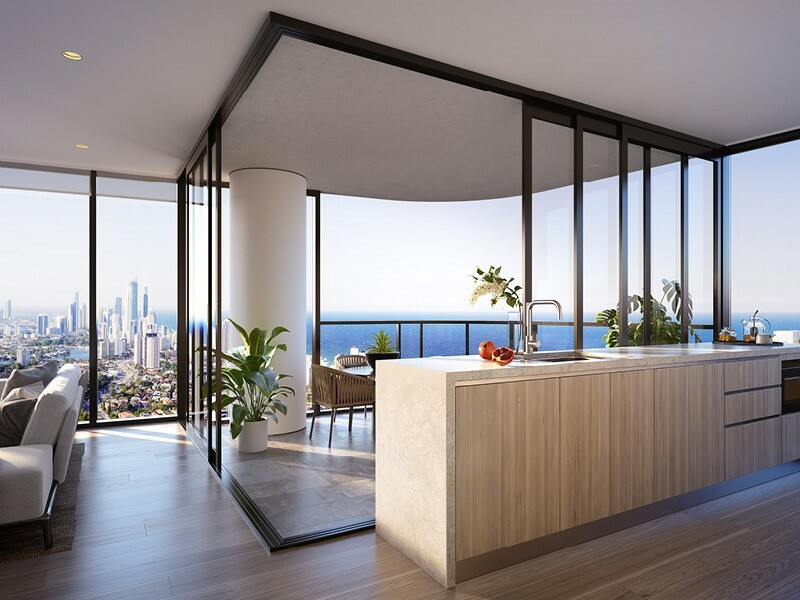 The Star Residences Gold Coast is situated on the south-east of the existing hotel and will offer expansive beach and hinterland views. 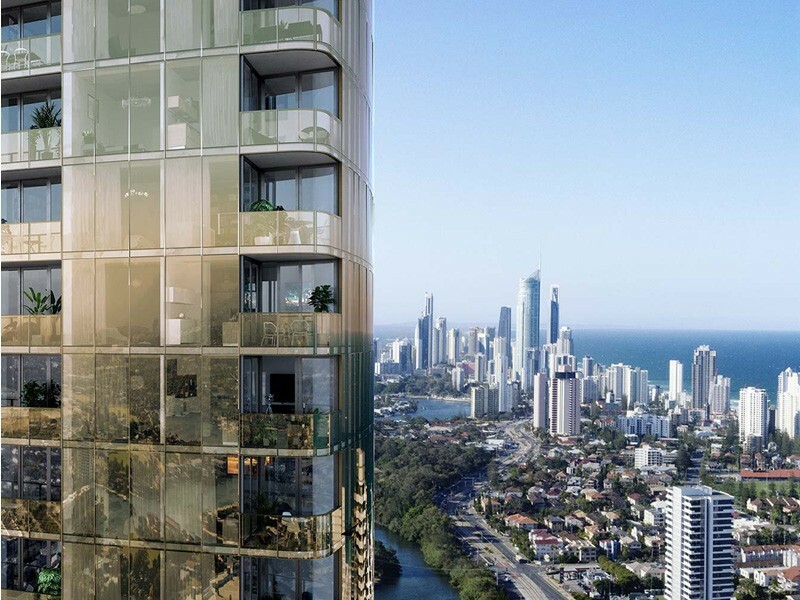 As if direct connectivity to The Star Gold Coast wasn’t enough, the tower is located about 800m from the beach. The Star Residences is also adjacent to Pacific Fair Shopping Centre, one of the largest and most luxurious shopping destinations in Queensland, with over 400 specialty shops (including many high-end brands). 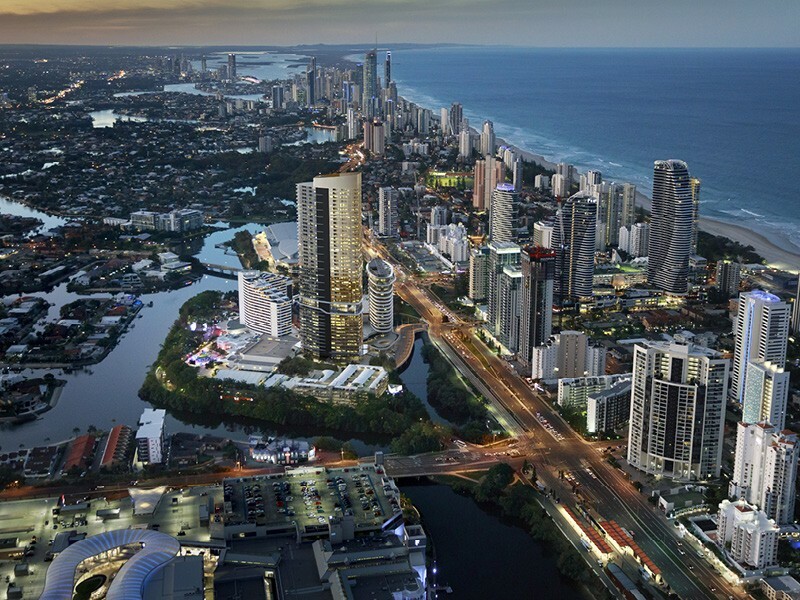 For more information on Broadbeach, check out our Suburb Profile. 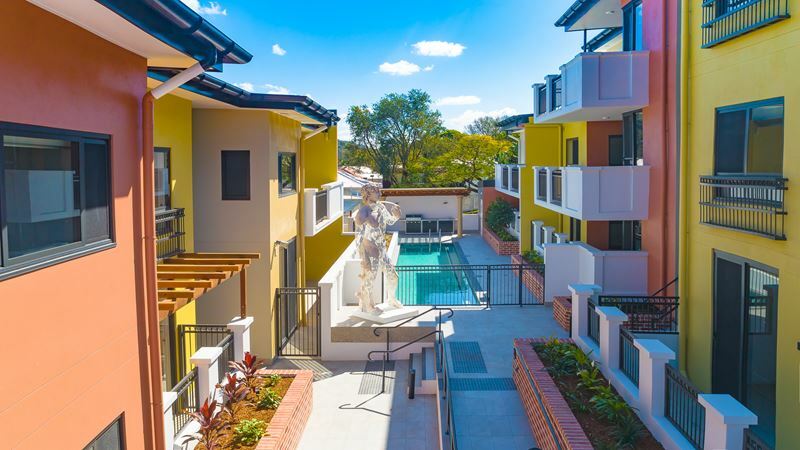 The majority of the communal facilities for residents are situated on the residential deck on Level 20. Home to a suite of amenities including a pool, spa, gymnasium, yoga and Pilates area, this area also offers stunning views out onto the ocean. There is also expansive lounge areas and a BBQ area, as well as casual and private dining spaces. Across the lower levels, there are a total of 518 car parks including the hotel, residential and visitor car parks. 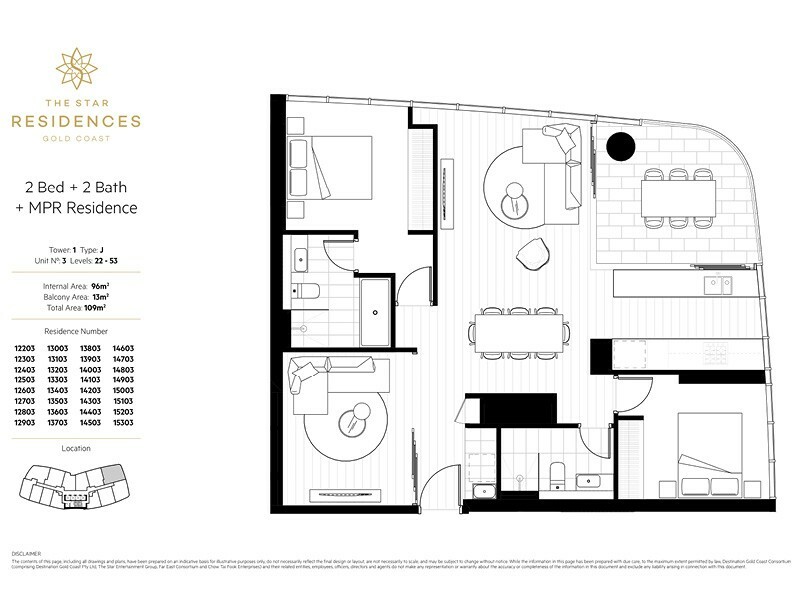 A car parking space is only included in the two bedroom, two-bathroom configurations. Car parking spaces are available to purchase separately and start at $45,000 for a single and $75,000 for a tandem park. At The Star Residences, there are 13 apartments per floor. 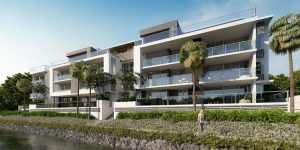 The one-bedroom apartments range in size from 54m² to 66m², which is rather on the small side — although definitely doable considering the coastal location. 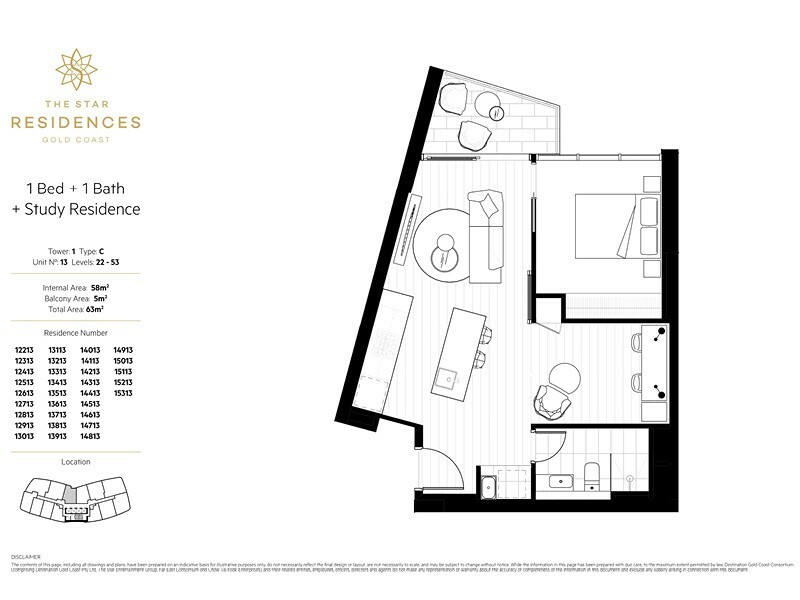 The two-bedroom apartments offer between 71m² and 109m² of space. The balconies range between only 7m² and 13m², however, all balconies are orientated to provide the best possible water views. Across the tower, there are 132 apartments with one bedroom and one bathroom, plus 64 one-bedroom, one bathroom that have an additional MPR/study. 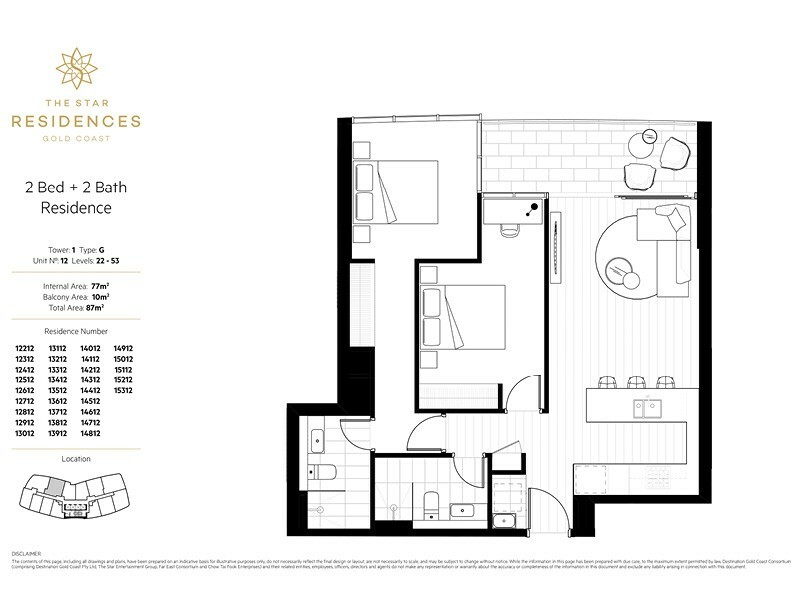 There are a total of 98 two bedroom, one bathroom apartments as well as 97 two bed, two bath configurations. The final 32 apartments offer two bedrooms, two bathrooms and a MPR. The air conditioning is ducted and reverse cycle throughout each apartment. 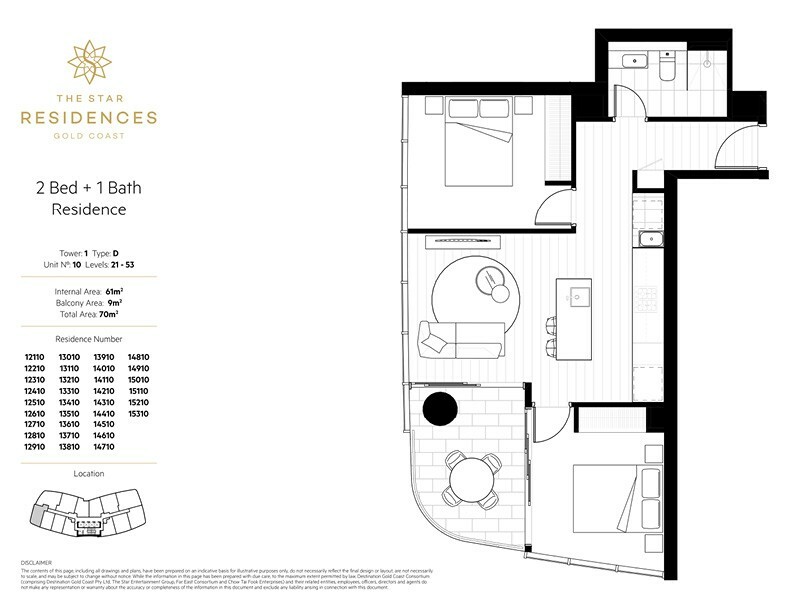 There are 10 different floor plans in total at The Star Residences, offering plenty of layout options and a variety of inclusions. All apartments offer a small internal laundry (most located near the entry), and most also offer a second balcony door from the main bedroom. 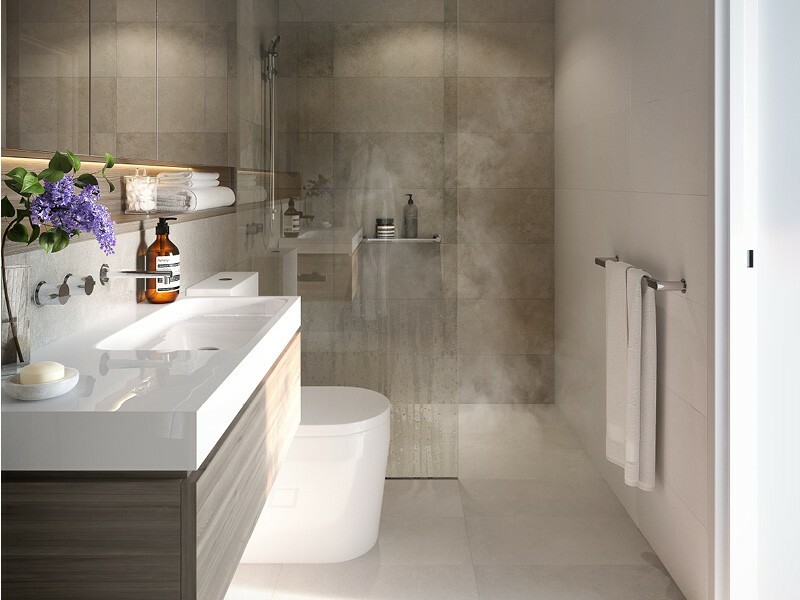 Of the one-bedroom apartments, Of the two bedroom apartments, some include a bath in the ensuite and some do not. The presence of a walk-in wardrobe in the main bedroom is also something that is missing from a number of floor plans although all bedrooms do have built-in cupboards. 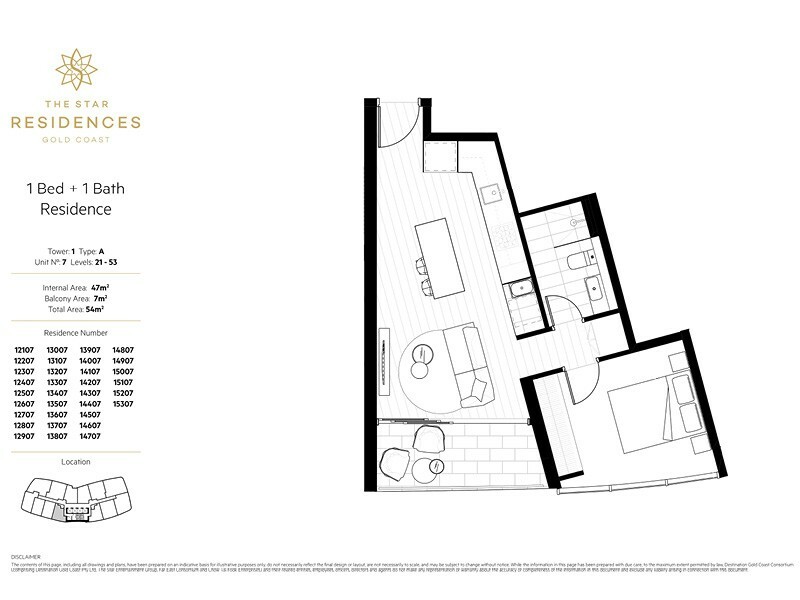 Enquire below for individual floor plans. 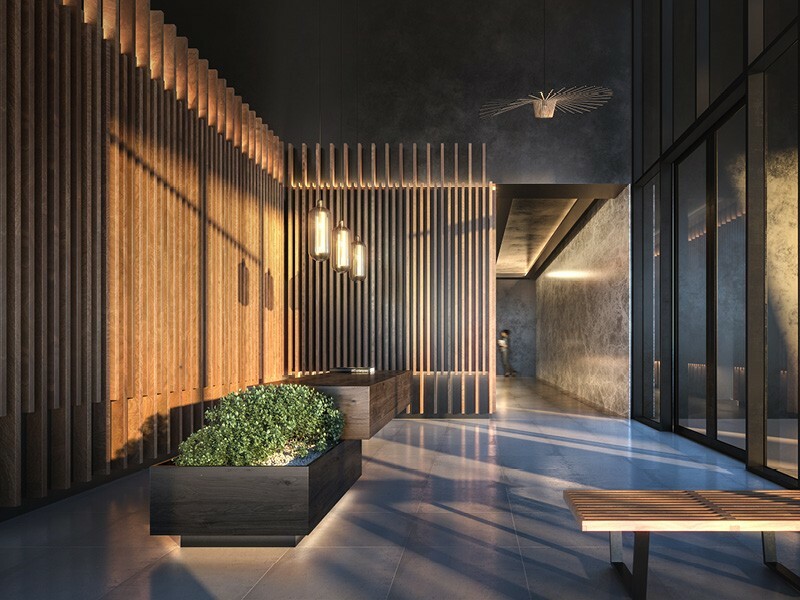 Each apartment at The Star Residences will be fitted with engineered timber floorboards in the kitchen and living space as well as plush carpet in the bedrooms. In the kitchen, you’ll find high-end European appliances, a built-in dishwasher, stone benchtops and a gas cooktop. 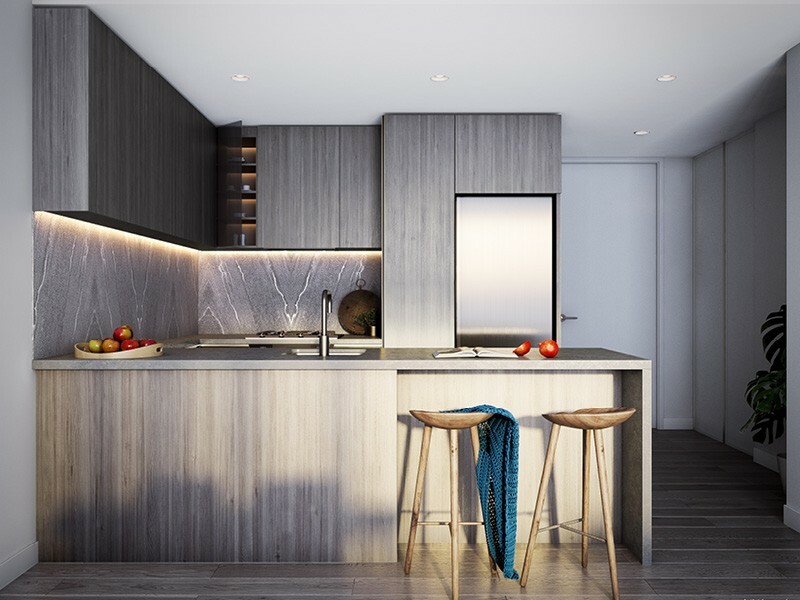 The kitchens are a stand out feature of these apartments, and all feature an island benchtop or large u-shaped kitchens. Such emphasis on creating a functional kitchen space is rare to find in this type of new apartment project. Buyers have a choice between a light and a dark colour scheme which carries throughout the apartment. 1 Bedroom: $525 – $550 per week. 1 Bedroom + Study: $600 – $620 per week. 2 Bedroom / 1 Bathroom: $630 – $650 per week. 2 Bedroom / 2 Bathroom: $700 – $750 per week. 2 Bedroom / 2 Bathroom + MPR: $775 – $800 per week. 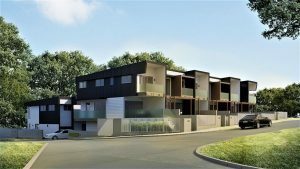 There is currently plenty of construction going on in Broadbeach, with several apartment buildings currently under construction and several more with construction scheduled to begin this year. 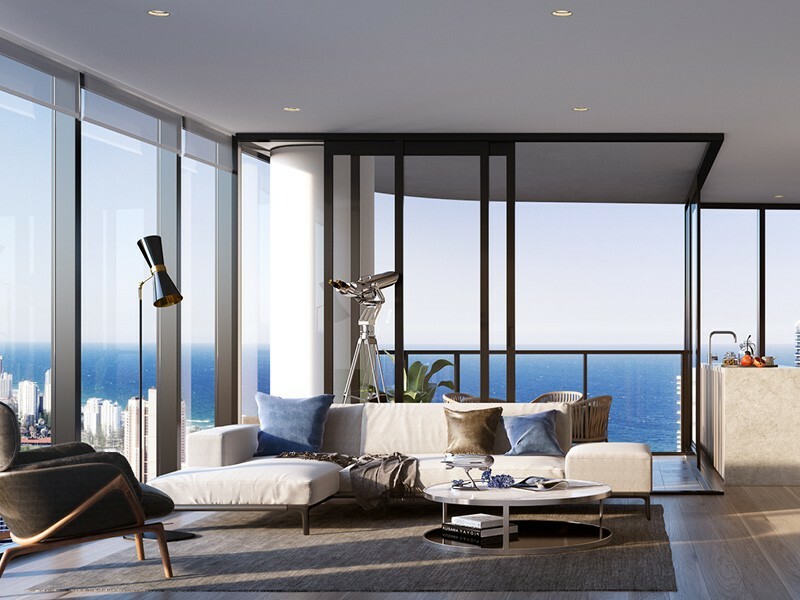 New apartments for sale in Broadbeach include 31 Broadbeach Boulevard, Elysian, Signature, Vue and Naia as well as 3 out of the 5 developments from the Morris Property Group’s Coastal Collection (Opus, KOKO and Qube). Body corporate at The Star Residences is anticipated to start at approximately $2,779 per year and will vary for each apartment. The Star Residences is a joint venture between The Star Entertainment Group, Far East Consortium and Chow Tai Fook Enterprises Limited. Far East Consortium are one of the largest residential developers throughout Asia and Australia and Chow Tai Fook are the owners of over 70 hotels globally. With international powerhouses and a local partner, this project is drawing the big guns. The building is being constructed by Hutchinson Builders and was designed by Cottee Parker in conjunction with DBI Design.